Beyond the Hype explored hot topics such as Payments, APIs / Open Banking, Blockchain beyond the hype?, Cross-industry diversification and AI/Machine learning. We will kick off the day on stage 1 with a whole session on Payments. Payments have always been linked with our civilisation. From barter to bitcoins, the form of payment has constantly evolved and more recently at a very high pace. While B2C/C2C payments are faster impacted by the new ways of payment (P2P payments, mobile payments, live wireless payment, mobile wallets, etc. ), B2B payments feels almost out of date. Will B2B payments follow the same evolution as the others? As payments become a commodity, how will payments develop in other places in the value chain? Come to listen to our speakers and our panel of experts to get the very latest evolution in payments in Europe and particularly in Belgium. On stage 1, after the first coffee break, we’ll be talking APIs and Open Banking with, amongst others, Jean de Crane from Isabel Group, Patricia Boydens from Harmoney, Marc Lainez from Ibanity. The landscape for financial services is changing and one of the biggest changes might be open banking. This development emerged from a mix of a need for better customer experience, new regulations and the search for new business models by banks. With the European Payment Services Directive (PSD2) requiring banks to open up their payment infrastructure to third-party providers, the monopoly of banking data is disappearing slowly. While this is often seen as a threat, this also creates new opportunities for banks and third-party providers to collaborate. Is the current market already being disrupted? Are both parties collaborating? What can we expect for the future? On stage 1, just after lunch, whilst the scale-ups will pitch in front of the jury on investors, we will be talking about Blockchain. With new regulations in Europe, especially with the GDPR, is the future of blockchain far from certain? Do these policy changes, “privacy by design” and the “right to erasure”, represent a threat for public blockchains? In the peer-to-peer environment in which blockchain exists, who holds responsibility, who arbitrates tough questions? Perhaps most of all, is there a solution using anonymous or pseudonymous data that European regulators would more readily accept? 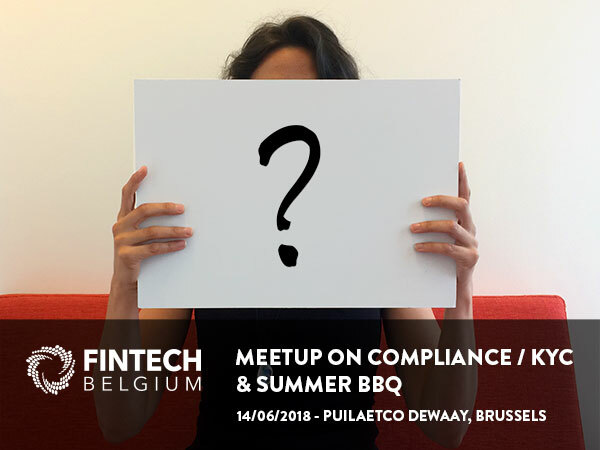 Join the Fintech Belgium Summit to know what some of Europe’s brightest FinTech minds—both proponents and skeptics of blockchain—have to say on the future of blockchain. During our last session on stage 1, we will be exploring the Cross-industry diversification as a great way forward for the financial industry. Today, no challenge is mono-disciplinary. Co-creation, platform business and ecosystem thinking have become regular. PSD2 welcomes tech players to enter the financial sector, retailers to grow their financial services, cloud accounting firms to offer online payments, … And in the meantime, we see all major banks begin engaging in cross-industrial opportunities, ranging from bookkeeping solutions to opportunities in real estate, energy, and health. When engaging in cross-industrial projects, we need to network beyond silos and disciplines. Let’s discuss some do’s and don’ts, discover open API opportunities and see new business leads for your organisation. We will finish the day on stage 2 discussing what AI and Machine learning has to offer to the financial industry. Artificial intelligence is now big business. We’ve all seen that there is no end to stories on what AI and deep learning can do, such as AML, prospection, potential hacking and fraudulent activities detection, financial reporting automation, advanced financial consulting, automated financial planning services, … But what is the real potential promise or opportunity of AI for finance? How can we implement it in our organisations and make operations work more effectively? During this session, we uncover real use cases in credit scoring and risk assessment. We discuss the return on investment, who you need on your team to train and oversee equipment, and how you can make things actually work.